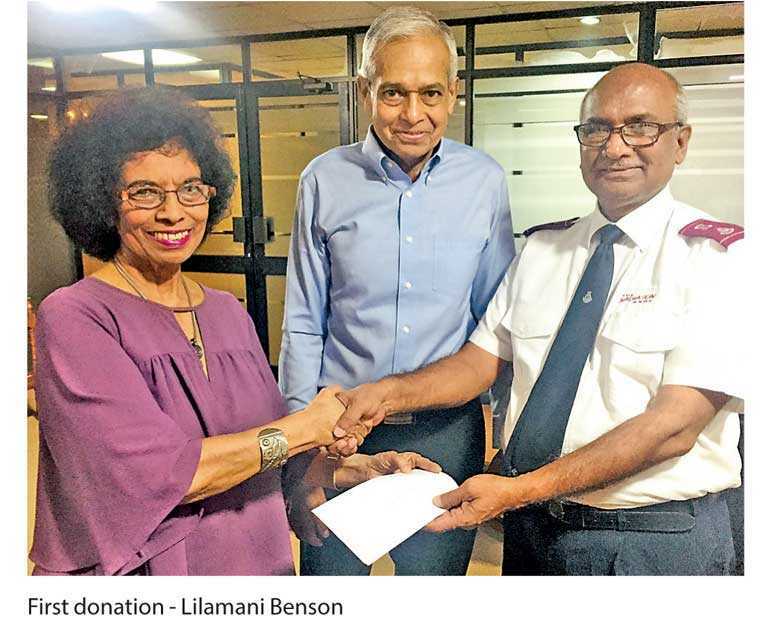 The Salvation Army has launched its annual appeal to raise funds that will help resource its residential and community services across Sri Lanka. Chaired by Savithri Rodrigo, a key focus of the launch event was the unveiling of the global organisation’s first-ever public annual report for its Sri Lankan arm. Through both image and story, the report tells how The Salvation Army has journeyed and developed with the nation since 1883. Titled ‘Answering the Call’, the report shows The Salvation Army is working in 20 of the country’s 25 districts, in eight of the nine provinces. It tells the story of this work as it happens at the front line – out of 62 Salvation Army outstations in rural, regional and city settings islandwide. Many thousands of people and hundreds of communities benefit on a regular basis from this work. Projects include: Large-scale safe-water wells and testing for kidney disease across the Polonnaruwa District with a combined investment of Rs. 110 million; provision of nutrition programs across eight districts; longstanding residential care for mothers and babies, children and elders, accessible islandwide; and hostel accommodation services for young employed and differently-abled people. The Salvation Army also addresses wide-ranging human needs – person to person, community to community – through its many corps and community-based centres and provides extensive disaster services. The annual report not only describes the work of The Salvation Army, but its identity and history – nationally and internationally. It also discusses global initiatives to align The Salvation Army’s accountability and governance systems with contemporary best practice, making all its systems and processes ‘fit for purpose’ in an ‘environment of constant change’. Finally, it presents its accounts, audited by Ernst and Young. The target for The Salvation Army’s 2018 Annual Appeal was announced as Rs. 5.5 million. First donations were also announced, amounting to Rs. 2 million. To read ‘Answering the Call’, the inaugural Annual Report of The Salvation Army Sri Lanka, please go to: https://issuu.com/salvationarmyihq//2017annualreportsrilanka. The Salvation Army Sri Lanka is open for discussion about innovative partnerships that will bring transformation to people’s lives and circumstances. Please call 077 7352835 to begin a conversation. Or email sri_thq@sri.salvationarmy.org. Donations to The Salvation Army’s Annual Appeal can be made online at http://www.salvationarmy.org/sri or by cheque made out to The Salvation Army, and posted or delivered to: The Salvation Army, 53 Sir James Peiris Mawatha (PO Box 193), Colombo 2 with full details for receipting purposes. Donations are tax deductible.